There are many talented automotive artists currently practising their skills and Bruce Thomson is up there among the best. 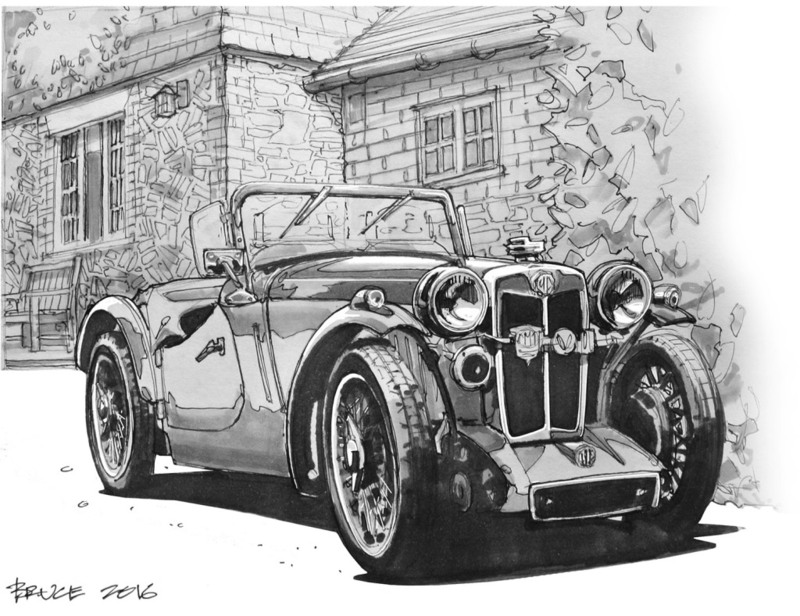 This depiction of a 1934 MG PA Midget was discovered on Bruce’s website and was sketched during a brief stay at the Three Horseshoes in Thursley, Surrey. His website is well worth a prolonged look.